Adam's Armour 1 and 2 the ultimate in armour modelling guides! Adam's Armour 2 modelling guide is the ultimate in the painting & finishing of armour modelling! Adam Wilder's pioneering processes and techniques are described by him in the greatest of detail. These present the culmination of many years of Adam's work, many unseen in print until now. Adam's Armour 2 will improve and enrich any modeller's work from beginners to the more proficient. 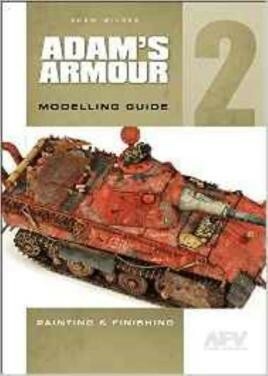 This volume totalling 232 pages covering every aspect of stunning range of finishing techniques which keeps Adam at the forefront of scale armour modelling with Worldwide acclaim.